A Two Judge Bench of the Supreme Court Today has started the arguments in a Petition filed by death row prisoner Yakub Memon challenging the death warrant issued against him, along with an intervention Application by The Centre on the Death Penalty at National Law University, Delhi. Justice Anil R Dave and Justice Kurian Joseph are the members of the Bench. While Attorney General Mukul Rohtagi appeared for the State , Senior Advocate Raju Ramachandran appeared for Memon and TR Andhyarujina appeared for 'Centre for Death Penalty'. The Attorney General vehemently objected the Petition by saying that a Writ Petition cannot be filed against the order in a Curative Petition. He also stated that no other ground except those were taken in the Review Petition can be taken in the Curative Petition to which Justce Kurian expressed doubt. Justice Dave asked the Counsel for the Petitioner that "How many mercy petitions can be filed against a death sentence?" But the main ground stressed by Advocate Raju Ramachandran was ‘a death warrant can be issued only after the prisoner had exhausted all his legal options’. Earlier in May, the Supreme Court, in the case of Shabnam v. Union of India & Anr. and National Law University, Delhi through Death Penalty Litigation Clinic v. Union of India & Anr. had quashed death warrants issued in haste and ruled that the “Right to dignity also extends to the death row convicts”. But the Petitioners got an unexpected support from Justice Kurian Joseph when he said that the Supreme Court did not follow the procedure while listing the Curative petition. Memon’s Review petition was dismissed by a Three Judge Bench consisting of Justices Anil R. Dave, Chelameswar and Kurian Joseph. But the curative Petition was dismissed by a another three-judge Bench of the Chief Justice of India H.L. Dattu, Justice T.S. Thakur and Justice Anil. R. Dave. Order XLVII of Supreme Court Rules 2013 deals with ‘Curative Petitions’. As per Rule 4(1) ‘the Curative Petitions shall be first circulated to a Bench of the Three Senior most Judges and the Judges who passed the Judgment complained of, if available’. According to Justice Kurian, this Rule is not followed in Memon’s Case. 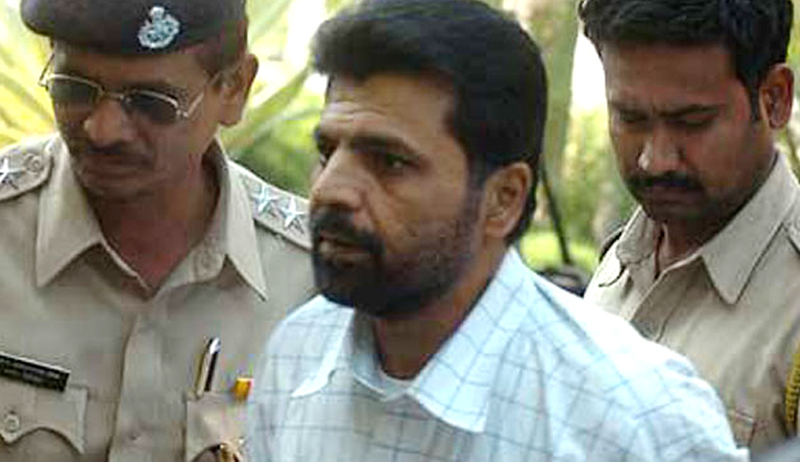 Yakub Memon, convicted in the 1993 Mumbai serial blasts, approached the Supreme Court challenging the death warrant for his execution which is scheduled on July 30. According to his new plea the Death warrant is illegal because it didn’t follow proper procedure prescribed by the Supreme Court in Shatrughan Chauhan & Anr. v. Union of India & Ors.. In this Judgment Supreme Court held that Article 21 inheres a right in every prisoner till his last breath and this Court will protect that right even if the noose is being tied on the condemned prisoner’s neck. Relying on the above Judgment Supreme Court had recently quashed the death warrant issued against the Death row couples Shbnam and Saleem [Shabnam v. Union of India & Anr. and National Law University, Delhi through Death Penalty Litigation Clinic v. Union of India & Anr.